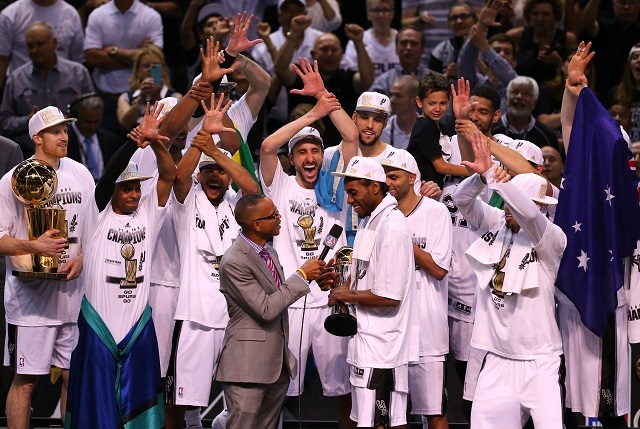 NBA Salaries: How Much Does Kawhi Leonard Deserve to Be Paid? Word is that Kawhi Leonard, also known as Sugar K if you’re Shaquille O’Neal, and the San Antonio Spurs are a bit of an impasse when it comes to the status of Leonard’s new contract. Namely, the fact that the NBA Finals MVP wants a max contract, and the Spurs seem reluctant to give him one — not necessarily an indictment of his game, but because of the uncertain nature of the new television deal and how it relates to the NBA salary cap. It’s a ton of money, and depending on how it winds up being distributed to the league, a max extension for Leonard could wind up costing the Spurs millions more than they might have anticipated when they originally signed the deal. That’s a great deal for Kawhi, obviously, but San Antonio isn’t quite as excited about the possibility. The fact that Leonard played well enough to get the Finals MVP nod is working in his favor, but he hit that particular milestone way before most. In fact, you’d have to go back to Tim Duncan to find a player of similar credentials (Magic Johnson remains the youngest), and he’s the only one to have done it under the current CBA’s contract standards. Which is to say that there’s not very much applicable precedent for a guy getting his first major deal after winning the award. Instead, we’re going to look at some of the recent winners and how their contracts changed, not so much in raw dollar amounts but in percentages. 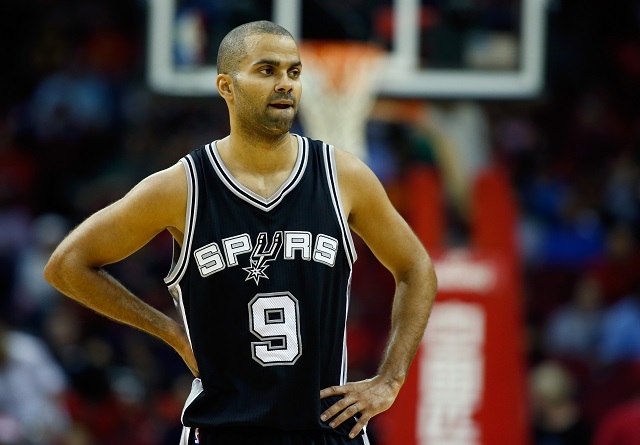 The last Spur to be named Finals MVP before Leonard, Tony Parker was already a six-year veteran with San Antonio when he won the Finals MVP and his third NBA Championship with the team. His next contract extension would come in 2010, when he was given $50 million over four years, a deal that was considered a discount in order to keep the team together. He signed another extension, this time for three years and $43 million, this summer. For some context, Leonard could receive a five-year deal worth $90 million from San Antonio. 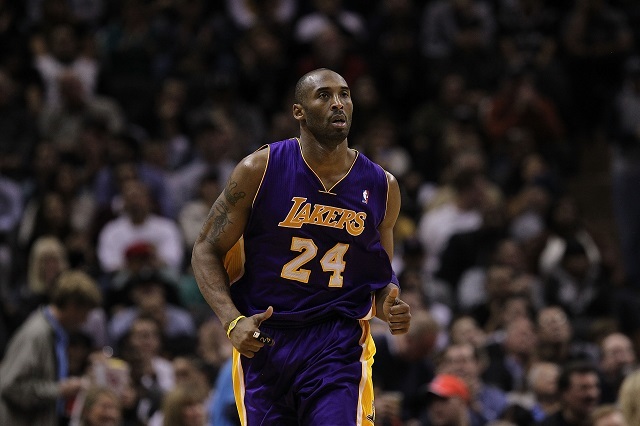 It may surprise you to learn this, but by 2010, when Kobe Bryant got carried to his NBA Finals MVP award (sorry, but you can’t go 6-24 in Game 7 and escape all of the blame), he was already a huge star. Yes, shocking. So as the regular season was wrapping up that year, Kobe was gifted with a massive contract — three years and just short of $90 million. While this deal technically happened before the award was given out, we can’t imagine that much would have changed in the aftermath, so it counts. Plus, Kobe won the award in 2009, too. 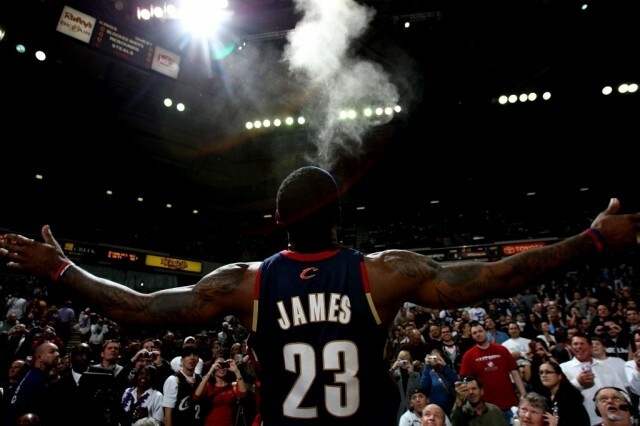 Likewise, LeBron James was already in the throes of a max deal when he won back-to-back Finals MVP awards, so while he didn’t get a huge deal while he was with the Heat, he did get a mega deal a year later, when he re-signed with Cleveland for two years and $42 milion. Part of the reason this was such a great deal for LeBron was because of the ability to negotiate fresh with a new cap — the same thing that Kawhi is fighting over right now. 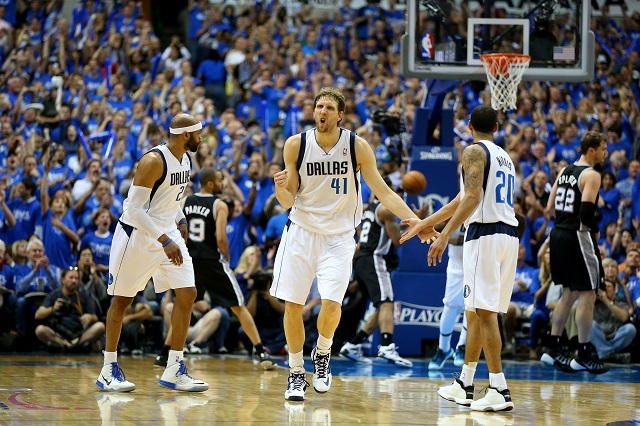 Nowitzki has always taken cuts for the home team, and in 2010, the year before Dallas got revenge on Miami for the 2006 humiliation in the Finals, he passed up a serious chunk of change in order to help the Mavs keep some flexibility — a move he repeated in 2014, when he gave Mark Cuban and company the largest hometown discount in the history of the NBA, per Forbes. It should go without saying that San Antonio is hoping Kawhi beats that record. 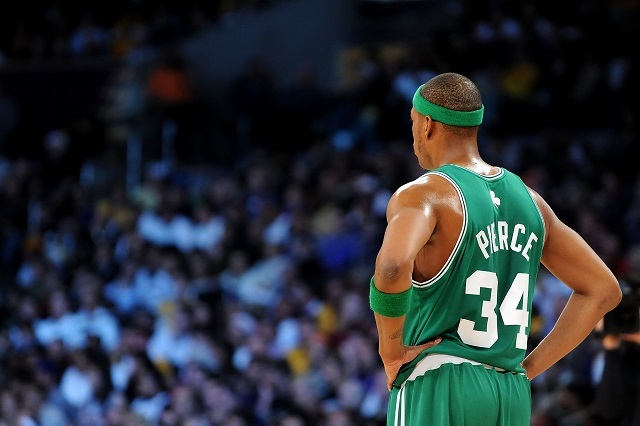 While Pierce re-signed with the Boston Celtics in 2010, he was in a position not too dissimilar to Leonard, although Leonard would fit better as the Rajon Rondo equivalent to San Antonio’s Big Three. Paul was coming off a successful run of title contention with a team that many observers believed would have to fall apart sometime. He took a bit of a cut in the guarantee, but overall, it was a very friendly reward for The Truth.